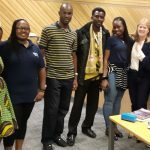 From tales of kidnapped penguins to stories about eagles and ducks, the team from Chris Cooper Business Elevation ensured that the international student cohort at the University of Leicester’s August 2016 Summer School enjoyed a great learning experience. 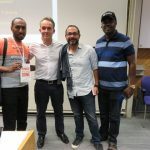 We have have become regular contributors to both the Alumni and MBA programmes at the University Summer school and this year, Tracey and Chris gave keynote presentations, with John running workshops on leadership and engagement for the students. Not every day that you get the opportunity to engage with such an international audience including delegates from Ghana, Zambia, Uganda, Kenya, Congo, Japan etc. Tracey opened up proceedings with the first keynote presentation ’Marketing with a Twist’, which was very well received by an enthusiastic audience. Chris took the guest speaker slot to run a session based on his book ‘The Power to Get Things Done whether you feel like it or not’. 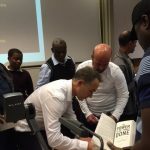 As well as prompting a very lively debate amongst the students, Chris could not keep up with demand for signed copies of his book ! John then ran 3 workshops ‘Why engaging leaders have more fun and get better results’ each lasting 3 hours and providing the students with plenty of interactive learning, as well as practical examples of immediate actions they could take back to their workplace to help elevate their own performance as well as fully engaging their teams. The team received exceptionally positive feedback and are already looking forward to next year’s event which promises to be bigger and better than ever.